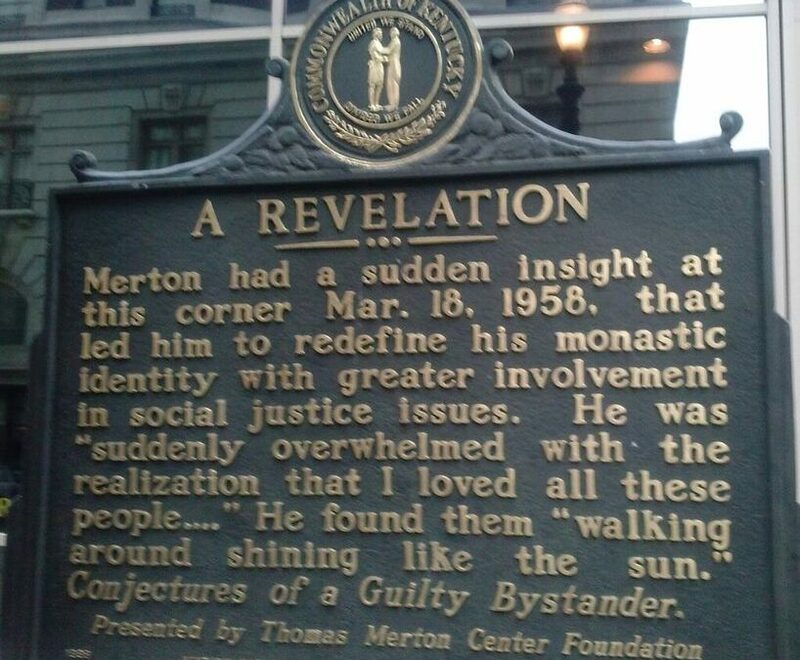 Merton’s Epiphany: Overwhelmed with the realization that I loved all these people . . . In Louisville, at the corner of Fourth and Walnut, in the center of the shopping district, I was suddenly overwhelmed with the realization that I loved all those people, that they were mine and I theirs, that we could not be alien to one another even though we were total strangers. It was like waking from a dream of separateness, of spurious self-isolation in a special world, the world of renunciation and supposed holiness. The whole illusion of a separate holy existence is a dream. Not that I question the reality of my vocation, or of my monastic life: but the conception of “separation from the world” that we have in the monastery too easily presents itself as a complete illusion: the illusion that by making vows we become a different species of being, pseudo-angels, “spiritual men,” men of interior life, what have you.